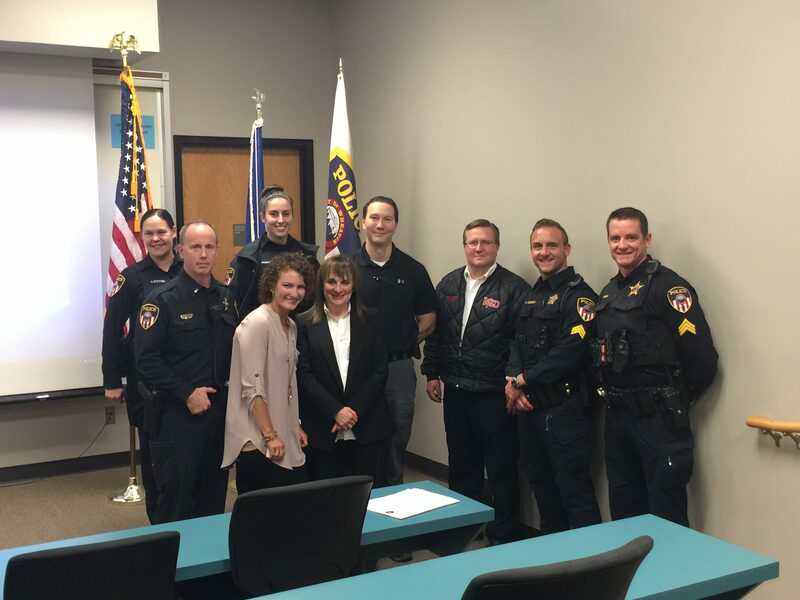 Board members Wendy Dolin, Lena Dolin and Nikki Carvelli presented the MISSD akathisia presentation to first responders at the Wheaton Police Department. MISSD was present at the 6:40 am and 2:40 pm roll call. We are so grateful to the first responders who attended our program; they are on the front lines dealing with many crisis interventions. We were excited by the engaging conversations that will no doubt lead to spreading the word about akathisia and alerting professionals on what to look for and how to react. It was a true honor to be among such dedicated men and women. A special thanks goes to Sergeant Ryan Conway for facilitating this training session.